22. Edward PICKER  (Sarah MAPLES12, Susannah WILSON8, James WILSON II7, James WILSON I6, Edward WILSON5, Elizabeth COWPER4, Robert COWPER3, Joanna HUSKINGSON2, Johannes1) was born on 2 May 1784 in Navenby Lincolnshire England and died in England. Edward married Elizabeth  [MRIN: 32084]. 58 M i. John PICKER  was born in 1815 in Navenby Lincolnshire England. 28. Elizabeth PICKER  (Sarah MAPLES12, Susannah WILSON8, James WILSON II7, James WILSON I6, Edward WILSON5, Elizabeth COWPER4, Robert COWPER3, Joanna HUSKINGSON2, Johannes1) was born on 22 Apr 1793 in Navenby Lincolnshire England and died in England.  Elizabeth married James HORRY  [MRIN: 32086] on 16 May 1817 in Navenby Lincolnshire England. James was born in England and died in England. + 59 F i. Susannah HORRY  was born in 1825 in Navenby Lincolnshire England and died in England. 41. Thomas William CLARKE  (Lucy MAPLES13, Susannah WILSON8, James WILSON II7, James WILSON I6, Edward WILSON5, Elizabeth COWPER4, Robert COWPER3, Joanna HUSKINGSON2, Johannes1) was born on 7 Feb 1793 in Lincoln Lincolnshire England and died on 8 Mar 1872 in England at age 79. Thomas married Susan SKELTON  [MRIN: 32093] in 1821. Susan was born in 1799 and died in 1839 at age 40. Thomas next married Ann CABORN  [MRIN: 32094] in 1841. Ann was born in 1812 and died in 1856 at age 44. 44. Frances FOX  (Frances MAPLES15, Susannah WILSON8, James WILSON II7, James WILSON I6, Edward WILSON5, Elizabeth COWPER4, Robert COWPER3, Joanna HUSKINGSON2, Johannes1) was born on 31 Aug 1794 in Huntingdon Huntingdonshire England, was baptised on 7 Nov 1794 in St Mary's Huntingdon Huntingdonshire England, died on 22 Jun 1849 in Huntingdon Huntingdonshire England at age 54, and was buried on 25 Jun 1849 in St Mary's Huntingdon Huntingdonshire England. Frances married Thomas Anthony NEGUS  [MRIN: 31995], son of NEGUS  and CLARKE , on 24 Jun 1823 in St Mary's & St Benedict's Huntingdon Huntingdonshire England. Thomas was born in Clerkenwell Middlesex England and died before 1849 in United States of America. 62 F i. Fanny Maria NEGUS  was born on 18 Feb 1825 in Pentonville London England, was baptised on 24 Jun 1825 in St Mary's Huntingdon Huntingdonshire England, and died after 1861 in England. 45. George Morris FOX  (Frances MAPLES15, Susannah WILSON8, James WILSON II7, James WILSON I6, Edward WILSON5, Elizabeth COWPER4, Robert COWPER3, Joanna HUSKINGSON2, Johannes1) was born on 7 Nov 1795 in Huntingdon Huntingdonshire England, died on 29 May 1861 in Huntingdon Huntingdonshire England at age 65, and was buried on 2 Jun 1861 in St Mary the Virgin Godmanchester Huntingdonshire England. George married Elizabeth ASHTON  [MRIN: 31997], daughter of Edward ASHTON  and Unknown, on 6 Jan 1818 in St Sepulchre London England. Elizabeth was born on 2 Feb 1800 in Old Weston Huntingdonshire England, died on 14 Jan 1854 in Huntingdon Huntingdonshire England at age 53, and was buried on 17 Jan 1854 in St Mary's Huntingdon Huntingdonshire England. + 63 M i. George Maples FOX  was born on 6 Jan 1820 in Huntingdon Huntingdonshire England, died on 17 Aug 1878 in Lincoln Lincolnshire England at age 58, and was buried on 21 Aug 1878 in Canwick Road Cemetery Lincoln Lincolnshire England. + 64 F ii. Charlotte FOX  was born on 1 Jan 1821 in Huntingdon Huntingdonshire England and died on 4 Apr 1903 in Bedford Bedfordshire England at age 82. 65 M iii. Frederick Taylor FOX  was born on 2 Jul 1822 in Huntingdon Huntingdonshire England and died after 1891 in Manchester Lancashire England. Frederick married Lucy SALMON  [MRIN: 32020], daughter of William SALMON  and UNKNOWN , in 1862 in England. Lucy was born circa 1822 in Peterborough Northamptonshire England and died after 1891 in Manchester Lancashire England. + 66 M iv. Thomas Lewis FOX  was born on 5 Dec 1823 in Huntingdon Huntingdonshire England and died on 3 Dec 1877 in Sydenham Kent England at age 53. 67 F v. Fanny FOX  was born on 15 Jun 1825 in Huntingdon Huntingdonshire England, died on 27 Aug 1848 in Huntingdon Huntingdonshire England at age 23, and was buried on 30 Aug 1848 in St Mary's Huntingdon Huntingdonshire England. + 68 M vi. John FOX  was born on 30 Sep 1826 in Huntingdon Huntingdonshire England, died on 25 Sep 1891 in Peterborough Northamptonshire England at age 64, and was buried on 28 Sep 1891 in Peterborough Northamptonshire England. 69 F vii. Elizabeth Ann FOX  was born on 24 Jun 1828 in Huntingdon Huntingdonshire England, died on 20 Apr 1861 in Huntingdon Huntingdonshire England at age 32, and was buried on 26 Apr 1861 in St Mary's Huntingdon Huntingdonshire England. 70 F viii. Emma FOX  was born on 14 Aug 1829 in Huntingdon Huntingdonshire England, was baptised on 15 Aug 1929 in St Mary's Huntingdon Huntingdonshire England, died on 19 Feb 1853 in Huntingdon Huntingdonshire England at age 23, and was buried on 22 Feb 1853 in St Mary's Huntingdon Huntingdonshire England. 71 F ix. Mary FOX  was born on 14 Aug 1829 in Huntingdon Huntingdonshire England, was baptised on 15 Aug 1929 in St Mary's Huntingdon Huntingdonshire England, died on 11 Mar 1916 in Huntingdon Huntingdonshire England at age 86, and was buried on 15 Mar 1916 in St Mary's Huntingdon Huntingdonshire England. She was a School Mistress, Misses Fox School at Montagu House, Huntingdon. Ladies' Boarding School at Montagu House." At her funeral there were several beautiful wreaths etc the cards attached being inscribed "In Loving Memory from all at Newport College, Lincoln", "With Loving Remembrance, Mrs Newman; Old Pupils, Lizzie, Edith & Alice". The officiating clergy were the Rev. H.G.D. Latham (Rector of All Saints) and the Rev. L Parry (Vicar of St. Mary's). The first part of the service took place in All Saints Church, the choir and clergy meeting the coffin at the church door and singing 'Rock of Ages' as a Processional Hymn. The second Hymn was 'Peace Perfect Peace' and as the funeral party left the Church the organist Mr G.H. Brown F.R.C.O played Chopin's Funeral March. The coffin was of unpolished oak with brass [furniture?] and bore on the breastplate the inscription "Mary Fox. Died March 11th 1916, Aged 86 Years." + 72 F x. Lucy FOX  was born on 17 Mar 1831 in Huntingdon Huntingdonshire England and died in 1897 in Hertfordshire England at age 66. 73 F xi. Harriet FOX  was born on 12 Sep 1832 in Huntingdon Huntingdonshire England, died on 23 Sep 1903 in Huntingdon Huntingdonshire England at age 71, and was buried on 28 Sep 1903 in St Mary's Huntingdon Huntingdonshire England. 74 F xii. Jane FOX  was born circa 1833 in Huntingdon Huntingdonshire England, died before 1841 in Huntingdon Huntingdonshire England, and was buried in St Mary's Huntingdon Huntingdonshire England. 76 F xiv. Anne FOX  was born on 7 Oct 1839 in Huntingdon Huntingdonshire England, died on 5 Oct 1914 in Huntingdon Huntingdonshire England at age 74, and was buried on 9 Oct 1914 in St Mary's Huntingdon Huntingdonshire England. With her three sisters Mary, Harriet, and Caroline, for many years successfully conducted a Ladies' Boarding School at Montagu House. 09 Oct 1914 "From the Huntingdon Post Oct 9th 1914. We regret to announce the death of Miss Ann Fox of Fountain Villa which occurred on Monday (Oct 5th). The deceased lady who was 75 years of age was a twin daughter of [the] late Mr. G. M. Fox." 77 F xv. Caroline FOX  was born on 7 Oct 1839 in Huntingdon Huntingdonshire England, died on 20 Sep 1908 in Huntingdon Huntingdonshire England at age 68, and was buried on 23 Sep 1908 in St Mary's Huntingdon Huntingdonshire England. 46. Elizabeth FOX  (Frances MAPLES15, Susannah WILSON8, James WILSON II7, James WILSON I6, Edward WILSON5, Elizabeth COWPER4, Robert COWPER3, Joanna HUSKINGSON2, Johannes1) was born on 10 Jan 1797 in Huntingdon Huntingdonshire England, was baptised on 2 Mar 1797 in St Mary's Huntingdon Huntingdonshire England, died on 4 May 1870 in Smisby Derbyshire England at age 73, and was buried on 7 May 1870 in Smisby Derbyshire England. Elizabeth married Richard WARNER  [MRIN: 32030] on 8 Feb 1819 in St Mary's Huntingdon Huntingdonshire England. Richard was born on 23 Oct 1792 in Coventry Warwickshire England, died on 9 Jul 1869 in Derby Derbyshire England at age 76, and was buried on 12 Jul 1869 in Smisby Derbyshire England. + 78 M i. John Fox WARNER  was born on 1 Dec 1819 in Huntingdon Huntingdonshire England and died in 1864 in Wolverhampton Staffordshire England at age 45. 79 M ii. Richard Bayley WARNER  was born on 18 Aug 1821 in Huntingdon Huntingdonshire England and died in Mar 1871 in Burton Lincolnshire England at age 49. Richard married Maria BILLINGS  [MRIN: 32031] in Jun 1850 in Wolverhampton Staffordshire England. Maria was born in England and died in England. + 80 M iii. Charles Edwin WARNER  was born on 29 Dec 1822 in Leicester Leicestershire England and died after 1871 in England. + 81 F iv. Fanny WARNER  was born on 11 May 1824 in Billesdon Leicestershire England and died after 1851 in Melbourne Colony of Victoria. 82 F v. Caroline Elizabeth WARNER  was born on 6 Apr 1826 in Billesdon Leicestershire England and died after 1901 in Leicestershire England. + 83 F vi. Charlotte Amelia WARNER  was born on 7 May 1828 in Saddington Leicestershire England and died after 1911 in Leicestershire England. 84 F vii. Rosa WARNER  was born on 27 Dec 1832 in Ashby De La Zouch Leicestershire England and died after 1901 in England. + 85 M viii. Thomas Henry WARNER  was born on 2 Feb 1835 in Ashby De La Zouch Leicestershire England and died from 1873 to 1881 in Derbyshire England at age 38. 47. Dr. Robert FOX M.D. (Frances MAPLES15, Susannah WILSON8, James WILSON II7, James WILSON I6, Edward WILSON5, Elizabeth COWPER4, Robert COWPER3, Joanna HUSKINGSON2, Johannes1) was born on 22 Mar 1798 in Godmanchester Huntingdonshire England, was baptised on 5 Jun 1798 in St Mary's Huntingdon Huntingdonshire England, died on 7 Jun 1843 in Post Street Godmanchester Huntingdonshire England at age 45, and was buried on 11 Jun 1843 in St Mary the Virgin Godmanchester Huntingdonshire England. General Notes: Member of the Royal College of Surgeons. Married Anne TAYLOR (spinster of St Johns, Yorkshire) on 16 Oct. 1832 in Coveney, Isle of Ely, Cambridge. Her father, Rev. Richard Taylor, was the Curate there. 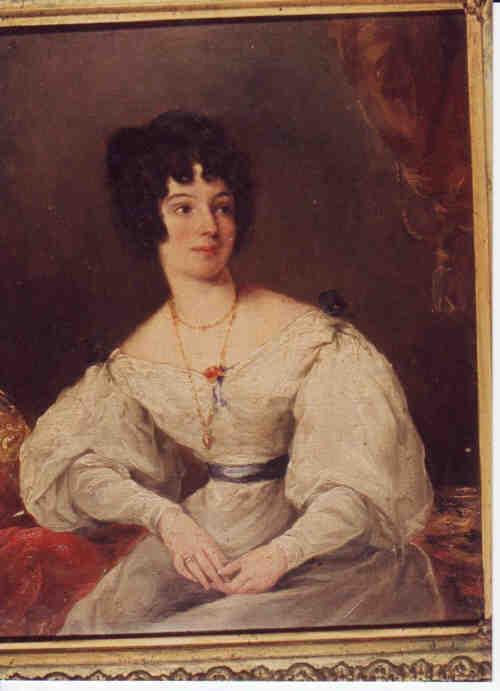 Had 1 daughter, Anne Taylor FOX in 1839 in Letwell, Yorkshire. He died 7 June 1843 in Post St, Godmanchester, Huntingdon, England. Robert married Jane ASHTON  [MRIN: 6207], daughter of Edward ASHTON  and Unknown, on 20 Nov 1821 in England. Jane was born in 1792 in Old Weston Huntingdonshire England, died on 15 Jan 1831 in Godmanchester Huntingdonshire England at age 39, and was buried on 20 Jan 1831 in St Mary the Virgin Godmanchester Huntingdonshire England. 86 F i. Fanny FOX  was born on 6 Oct 1822 in Godmanchester Huntingdonshire England, was baptised in 1822 in St Mary the Virgin Godmanchester Huntingdonshire England, died circa 1822 in Godmanchester Huntingdonshire England, and was buried circa 1822 in St Mary the Virgin Godmanchester Huntingdonshire England. 87 M ii. Robert Alfred FOX  was born in 1825 and died in 1841 at age 16. + 88 M iii. Dr. Henry Erasmus FOX M.D. was born on 28 Mar 1825 in Godmanchester Huntingdonshire England, was baptised in 1825 in St Mary the Virgin Godmanchester Huntingdonshire England, died on 16 Aug 1869 at sea off the Madeira Islands Portugal at age 44, and was buried on 16 Aug 1869 at sea off the Madeira Islands Portugal. + 89 M iv. Conrad FOX  was born on 9 Dec 1826 in Godmanchester Huntingdonshire England, was baptised on 12 Dec 1826 in St Mary the Virgin Godmanchester Huntingdonshire England, died on 14 Mar 1871 in London England at age 44, and was buried on 17 Mar 1871 in St Mary the Virgin Godmanchester Huntingdonshire England. 90 F v. Jane FOX  was born on 3 Feb 1830 in Godmanchester Huntingdonshire England, was baptised in 1830 in St Mary the Virgin Godmanchester Huntingdonshire England, died on 31 May 1853 in Godmanchester Huntingdonshire England at age 23, and was buried on 2 Jun 1853 in St Mary the Virgin Godmanchester Huntingdonshire England. The cause of her death was Consumption [Tuberculosis]. Robert next married Anne TAYLOR  [MRIN: 4758], daughter of Richard TAYLOR  and Catherine SPENCER , on 16 Oct 1832 in Coveney Cambridgeshire England. Anne was born on 24 Dec 1806 in Letwell Yorkshire England, was baptised on 30 Dec 1806 in St. John's Laughton en le Morthen Yorkshire England, died on 15 Jun 1877 in Godmanchester Huntingdonshire England at age 70, and was buried on 18 Jun 1877 in St Mary the Virgin Godmanchester Huntingdonshire England. "Ann the daughter of Richard TAYLOR. Gentleman, by Catharine his wife, born December 24th and baptised the 30th instant 1806." Spinster of the parish of St John's, Yorkshire before marriage. Ann lived with her brother, Richard, on his marriage to Caroline FOX, where she met Caroline's brother, Robert FOX (widower on marriage entry) whom she married in 1832 at Coveney, Isle of Ely, by her brother, Rev.Richard. One child known - AnnTaylor born 1839. Two FOX children (Carry & Charles) mentioned in Laura TAYLOR's diary when she visited England in 1855/56. Could be children of Ann & Robert. 91 F i. Anne Taylor FOX  was born on 12 May 1839 in Letwell Yorkshire England, was baptised in 1839 in St Mary the Virgin Godmanchester Huntingdonshire England, died on 7 Dec 1893 in Godmanchester Huntingdonshire England at age 54, and was buried on 10 Dec 1893 in St Mary the Virgin Godmanchester Huntingdonshire England. The cause of her death was Consumption [Tuberculosis]. 50. Mary Caroline FOX  (Frances MAPLES15, Susannah WILSON8, James WILSON II7, James WILSON I6, Edward WILSON5, Elizabeth COWPER4, Robert COWPER3, Joanna HUSKINGSON2, Johannes1) was born on 7 Apr 1803 in Huntingdon Huntingdonshire England, died on 22 Jun 1884 in Wanganui New Zealand at age 81, and was buried in Heads Road Cemetery Wanganui New Zealand. Another name for Mary was Carrie. General Notes: Mary Caroline FOX was known as Caroline. She was a genteel, refined and well educated lady and an artist of no mean ability. Caroline was not only mother to the family but Richard's support throughout their marriage and in all his mission work. In addition to the 6 children she bore him, Caroline was confined with a stillborn son in Sydney in 1839 and premature twin girls (who did not survive) at Putiki in 1843. Her husband was away on both occasions. With their daughter, Bertha, and Hori Kingi, son of Hoani Wiremu Hipangoof Putiki, Caroline accompanied Richard to England in 1867, and while there enjoyed frequent visits to her daughter Mary and husband Spencer MEDLEY, an officer in the Royal Navy at Portsea. Of particular delight to Caroline on these visits was the company of her young grand-daughter, Adela. Caroline assisted in the proof-reading of the book her husband was about to publish and was also able to visit many of her relations. When they arrived back in NZ IN 1871, Caroline & Richard moved to a new home in Campbell St which they called "Sandown" (In 1994 the Palm Lounge). Mary married Rev. Richard TAYLOR  [MRIN: 4734], son of Richard TAYLOR  and Catherine SPENCER , on 15 Jul 1829 in St Mary's Church Huntingdon England. Richard was born on 21 Mar 1805 in Letwell Yorkshire England, died on 10 Oct 1873 in Wanganui New Zealand at age 68, and was buried in Heads Road Cemetery Wanganui New Zealand. "Richard the son of Richard TAYLOR, Gentleman, by Catharine his wife, born March 21st and baptised the 23rd instant (same month) 1805." He was orphaned at the age of 13 and in his youth chose to enter the ministry. In 1825 he entered Queen's College, Cambridge, graduating BA in 1828 and MA in 1835. 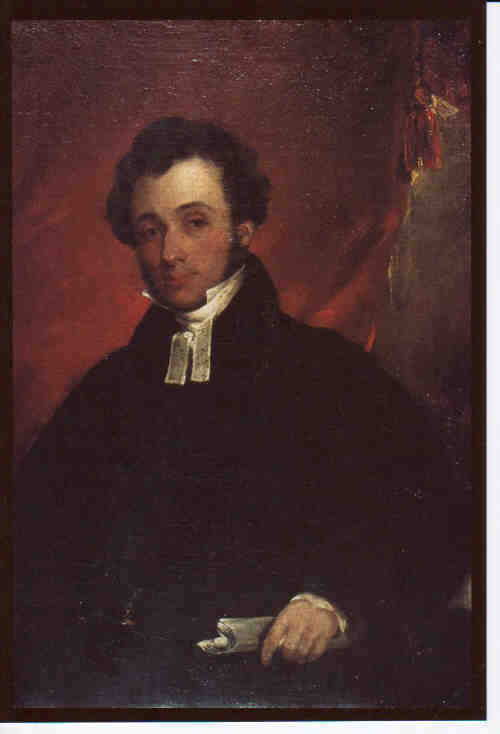 He was ordained deacon on 15 June 1829, and became curate at St Botolph's, Cambridge. In December 1927 he travelled through France & Switzerland, and made manysketches. 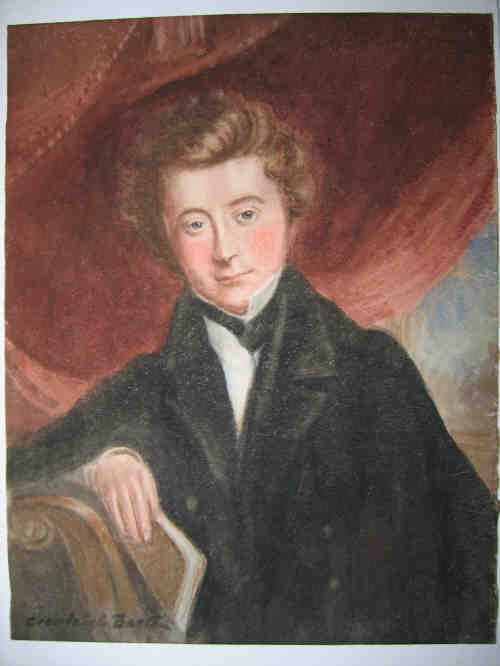 His marriage to Mary Caroline FOX of Huntingdon took place on 15 July1829, and not long after he became the vicar of Coveney and Manea in the Isle of Ely, Cambridge. Accepted posting to NZ on 26 May 1835, Richard with his wife Caroline and four children (Arthur, Basil, Laura & Mary) left from Gravesend on the 'Prince Regent' leaving 18 February 1836, arriving in Sydney on 13 June1836. Children got ringworm on their scalps on board ship - quite a difficult journey. It suited Rev. Samuel Marsden to take advantage of Richard Taylor's presence, and he appointed him to the chaplaincy at Liverpool, NSW,where his parishioners were mainly from the military forces and the prisons. After Marsden's death in 1838, Richard was released for service in NZ. In 1836 they were living in a cottage at Parramatta, NSW. Arrived at the Bay of Islands in 1839, then he was appointed to the Wanganui mission, arriving on 30 April 1843 following the death of Rev John Mason by drowning at the mouth of the Turakina River. Richard served in Wanganui for the rest of his life, and his mission is recorded in his journals which show us a man of total dedication to his task, very much the head of the family, and with an intense interest in scientific matters. His advice was sought by governors, he was an arbitrator between European and Maori interests, he contributed papers to the NZ Institute and corresponded with many eminent scientsts of the day. In 1955, while in England, he published "Te Ika a Maui:" and in1868, while again in England, he published "The Past and Present of New Zealand." He was by then a Fellow of the Geological Society. While on his missionary travels he found time to write up his journal, often in the small hours by candle light in his tent. Here he recordednot only the events relating to his mission, but also notes on botany, geology and natural history. Richard's long and faithful service to the community and the mission ended when he died in Wanganui on 10 October1873. He had only been in his new home a little while when he died. In December 1843 in Wanganui, Caroline gave birth to premature twin girls, one born dead and the other lived an hour. He put this down to his old house being burnt down. They had moved to new premises on 28 November, so most of their belongings were already shifted. 92 M i. Arthur Spencer TAYLOR  was born on 14 Sep 1830 in Coveney Cambridgeshire England and died on 12 Oct 1840 in Waimate Bay of Islands New Zealand at age 10. General Notes: Arthur Spencer TAYLOR was born at Coveney Rectory . Killed by a fall from a horse at 10yrs of age. After the funeral Richard recalled his young son in his diary - "His disposition was kind, affectionate and sedate. He was never a boisterous boy or fond of boisterous games - his garden and his rabbits were his chief amusements, and he had a natural taste for drawing. Though not quick at Latin, he was not backward in arithmetic, but of geology he was very fond. When we examined his box, we found all the letters he had ever received from his parents carefully treasured up." + 93 M ii. Basil Kirke TAYLOR  was born on 11 Sep 1831 in Coveney Cambridgeshire England, died on 3 Nov 1876 in Parnell Auckland New Zealand at age 45, and was buried on 4 Nov 1876 in St Stephen's Church Parnell Auckland New Zealand. + 94 F iii. Laura TAYLOR  was born on 26 Mar 1833 in Coveney Cambridgeshire England, died on 25 May 1887 in Wanganui New Zealand at age 54, and was buried in May 1887 in Wai Ora Cemetery, Mission Road, Westmere, Nr. Wanganui, New Zealand. + 95 F iv. Mary Catherine TAYLOR  was born on 8 Jul 1835 in Coveney Cambridgeshire England, was baptised on 2 Aug 1835 in Coveney Rectory Cambridgeshire England, died on 17 May 1922 in Wellington Wellington New Zealand at age 86, and was buried in Karori Cemetery Wellington New Zealand. + 96 M v. Robert Cecil TAYLOR  was born on 24 May 1837 in Liverpool Colony of New South Wales, died on 10 Jan 1909 in Auckland Auckland New Zealand at age 71, and was buried on 12 Jan 1909 in Purewa Cemetery Auckland New Zealand. 97 M vi. TAYLOR  was born on 4 Apr 1839 in Liverpool Colony of New South Wales and died on 4 Apr 1839 in Liverpool Colony of New South Wales. The cause of his death was stillborn. 98 F vii. Bertha Charlotte Augusta TAYLOR  was born on 4 Feb 1842 in Waimate Bay of Islands New Zealand and died on 1 Nov 1878 in Wanganui New Zealand at age 36. General Notes: When old enough, she too in her small way, made her contribution to the running of the Putiki mission, and also accompanied her father on some of his journeys. She went with her parents to England in 1867, but was frequently ill.
Bertha didnot marry, and died in Wanganui in 1878. 99 F viii. TAYLOR  was born on 20 Dec 1843 in Putiki Wanganui New Zealand and died on 20 Dec 1843 in Putiki Wanganui New Zealand. 100 F ix. TAYLOR  was born on 20 Dec 1843 in Putiki Wanganui New Zealand and died on 20 Dec 1843 in Putiki Wanganui New Zealand. The cause of her death was stillborn. 51. 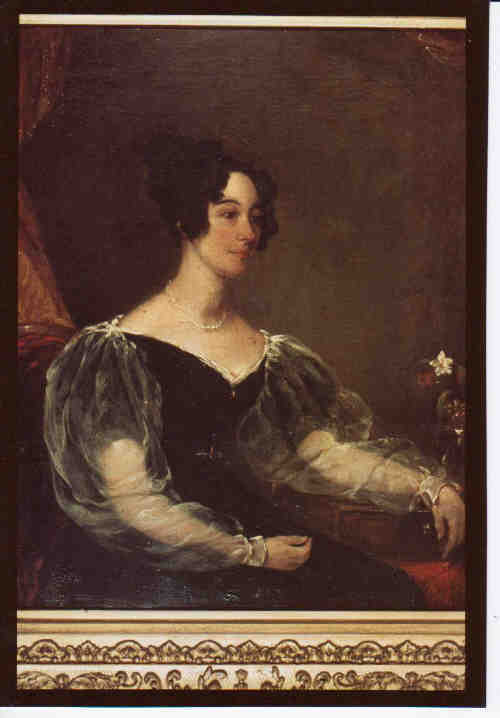 Susannah MAPLES  (Thomas Austin MAPLES16, Susannah WILSON8, James WILSON II7, James WILSON I6, Edward WILSON5, Elizabeth COWPER4, Robert COWPER3, Joanna HUSKINGSON2, Johannes1) was born on 21 Dec 1783 in Waddington Lincolnshire England and died in England. + 101 M i. Charles MAPLES  was born on 14 Oct 1806 in Waddington Lincolnshire England and died in England.